Wanted to clear up a little confusion on this. 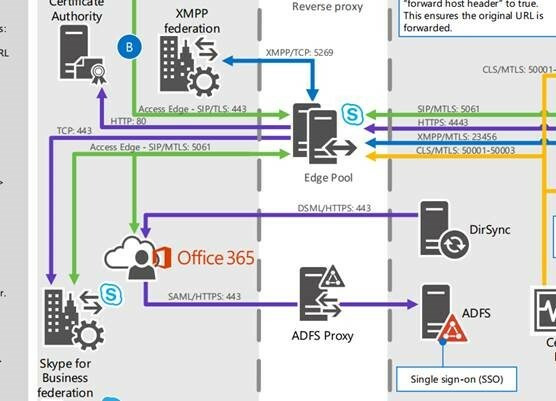 Thanks to other bloggers for posting the how-to on configuring the Skype Directory and of course the TechNet article on deployment. TCP/4443 from the FE pools to the Edges. This should already be open in your environment for the failback A/V path and replication of CMS. TCP/443 from the Access Edge service to the Internet. Now, in most environments, TCP/443 outbound for HTTPS is not blocked for things like Windows Updates and Web browsing, but if you did have an environment that was extremely locked down, this would be a new port requirement. Now, during MS Ignite in early May, there were some postings and discussion about TCP/4443 from Edge to the Internet was required. I have found that this is NOT true. The S4B Server Protocol Poster confirms this. This shows the only additional port requirements externally are TCP/443 from the Access Edge. On the internal side, the TCP/4443 from FE to Edge is represented, but was already there in Lync 2013. Now, looking at an actual S4B Edge server and running a netstat -ano I can see that it is indeed listening on both the internal and external NICs on TCP/4443. 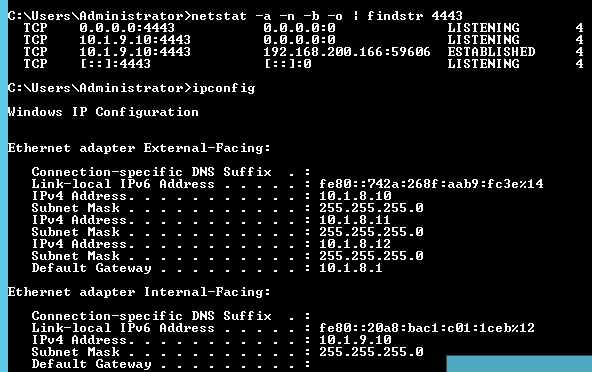 A telnet test and test-netconnection confirm that there is indeed a listener on both inside and outside interfaces. So there is a slight discrepancy here that the port is listening, but is not documented as needed in S4B Server. I also checked against a recently patched Lync 2013 Edge server - and the same configuration of listening on TCP/4443 is in place there as well.